Six decades after shutting down, Detroit’s Packard Plant is being revived with new tenants and tours of the former auto assembly plant. In Seattle, the ruins of a gasification plant built in 1906 anchors one of the most popular public spaces in city. Taking the globe by storm, industrial tourism can be defined as visits to sites which showcase a particular type of expertise from the past, present or future to the general public. A locomotive serving the Atlantic and East Coast Terminal Company railroad. Courtesy of the State Archives of Florida. Largely viewed as blight, industrial remnants of defunct companies can provide a local sense of place that can’t be easily replicated in peer communities. For example, the establishment of the defunct Atlantic and East Coast Terminal Company was an early attempt at redeveloping an area filled with tenements and a notorious red-light district with more than 60 brothels near Downtown’s passenger rail terminal. 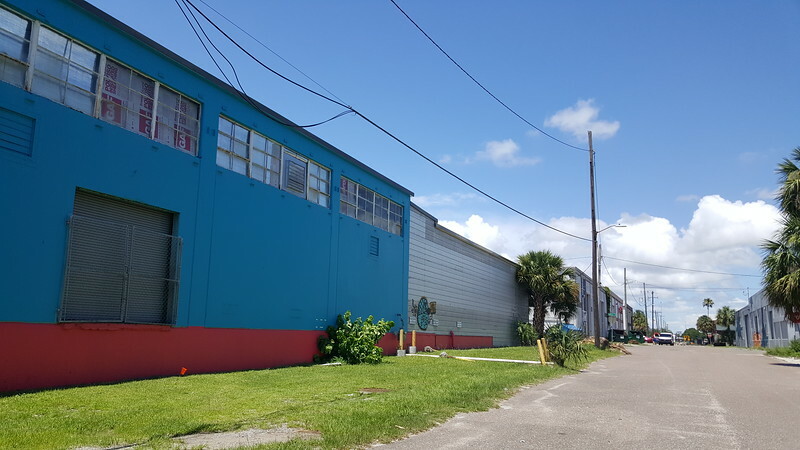 West Bay Street near the Jacksonville Terminal. Courtesy of the State Archives of Florida. 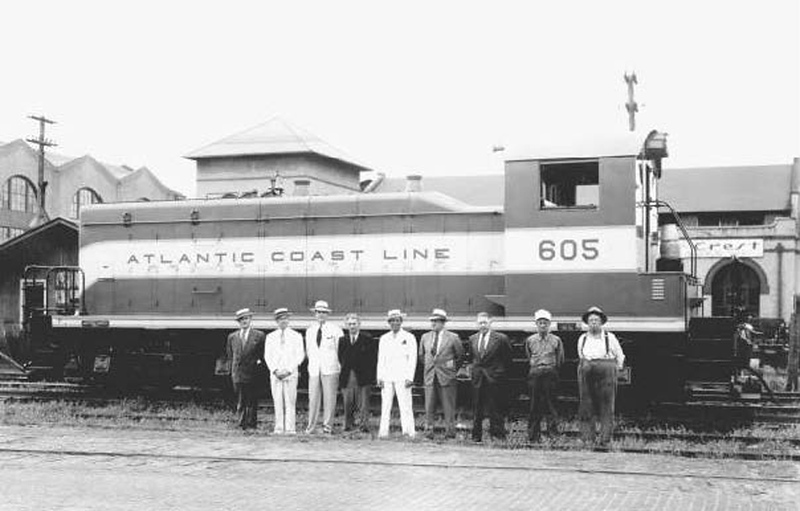 By 1905, the Jacksonville Terminal Company had become a congested destination where virtually every carload to or from the Florida peninsula passed through its facilities, partially due to Atlantic Coast Line Railroad passenger and freight trains from the north and Midwest headed to Florida’s booming east coast being handed off to the Florida East Coast Railway. 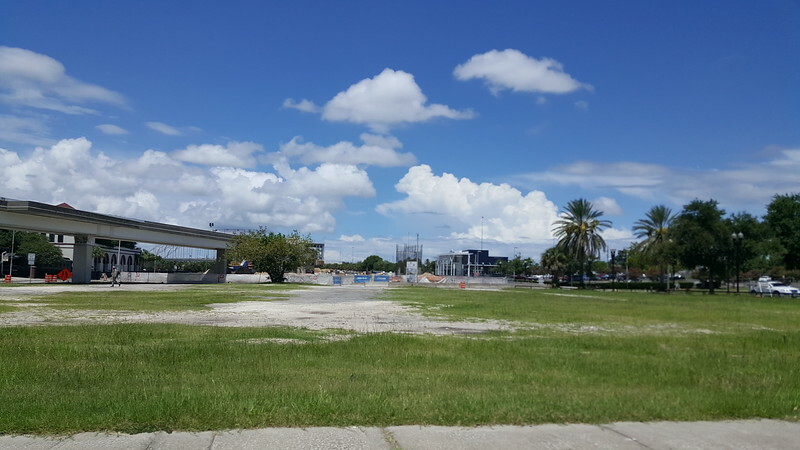 To overcome this problem, Atlantic Coast Line and Florida East Coast created the jointly-owned Atlantic and East Coast Terminal Company with $500,000 in capital stock to connect and serve their railroad operations with support facilities such as warehouses, elevators, and wharves. 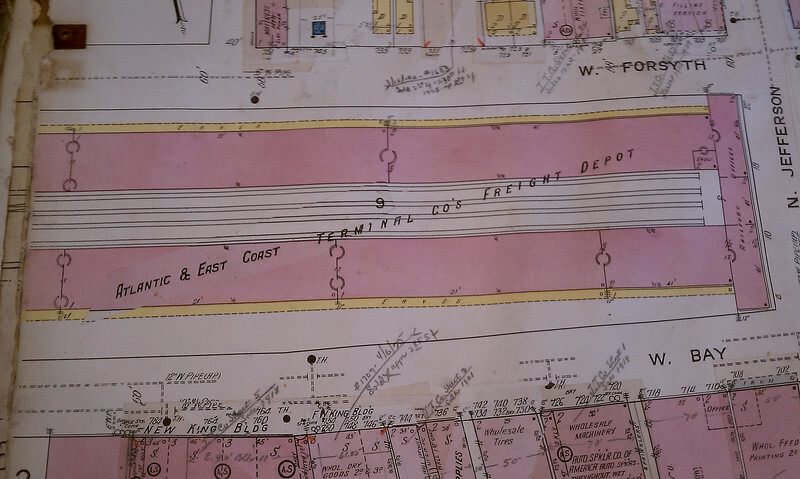 In 1910, the Atlantic and East Coast Terminal Company opened a U-shaped freight depot and three-story office complex on a large property bounded by Bay, Lee, Forsyth, and Jefferson streets. 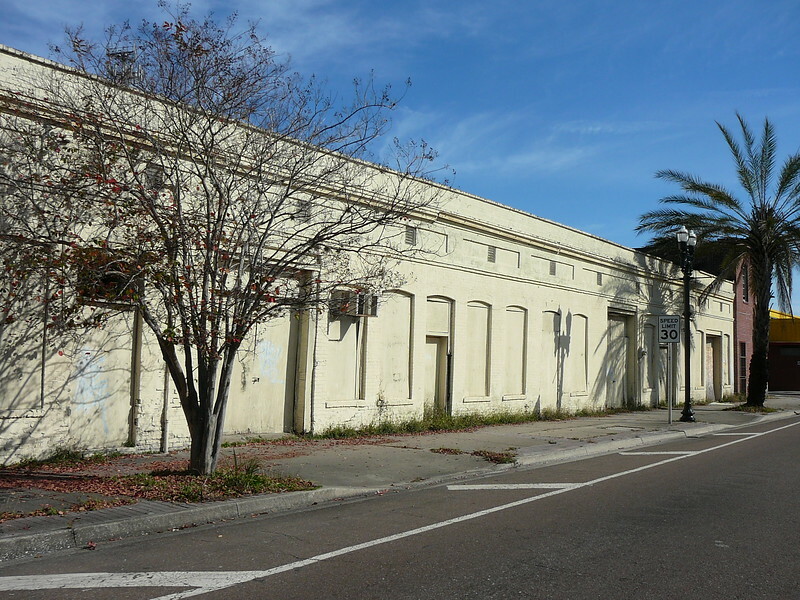 Served by multiple rail sidings at its center and a large concrete ramp for automobile loading near Lee Street, Atlantic Coast Line utilized the depot’s Forsyth Street side while the Florida East Coast wing faced Bay Street. 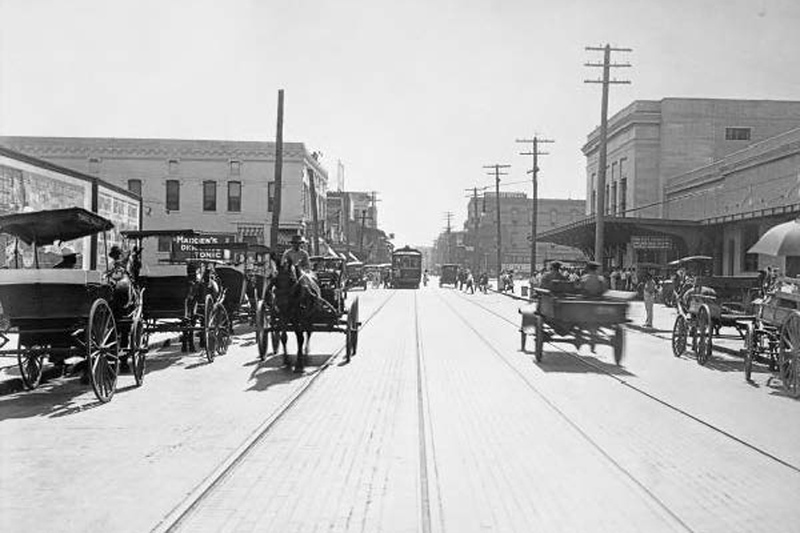 In addition, 1.48 miles of track was installed in nearby streets to serve the new freight depot and additional industry. To ease congestion, a steel viaduct was erected to carry Atlantic and East Coast Terminal Company rail traffic over Bay Street. By 1913, led by Florida East Coast’s president Joseph R. Parrott, Henry Flagler’s second in command, the Atlantic and East Coast Terminal Company had begun to transform its surroundings by successfully tapping in to the heart of the city’s high-priority express and less-than-carload business. Brothels and tenements quickly gave way to manufacturers producing everything from liquor, ice cream, and chero-cola soda to slaughterhouses making meat and sausages. 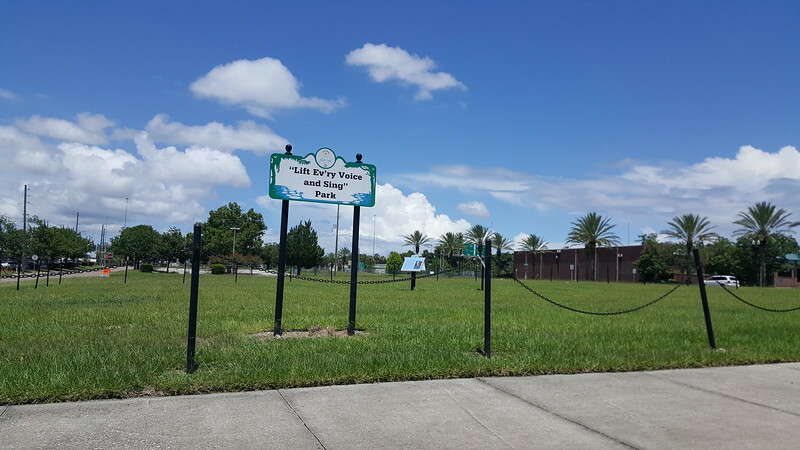 Furthermore, many residences including the birthplace of James Weldon Johnson were razed for automobile related businesses like Firestone Tire & Rubber Company and the Duval Motor Company. The tracks of the Atlantic and East Coast Terminal Company Railroad can be seen to the left of the passenger railroad station in the image above. Taken during the late 1970s, this photograph is courtesy of the State Archives of Florida. Business increased with the 1931 opening of the U.S. Post Office West Bay Annex. One of the last large commissions by H.J. Klutho, the Annex processed 80 percent of the state’s mail. 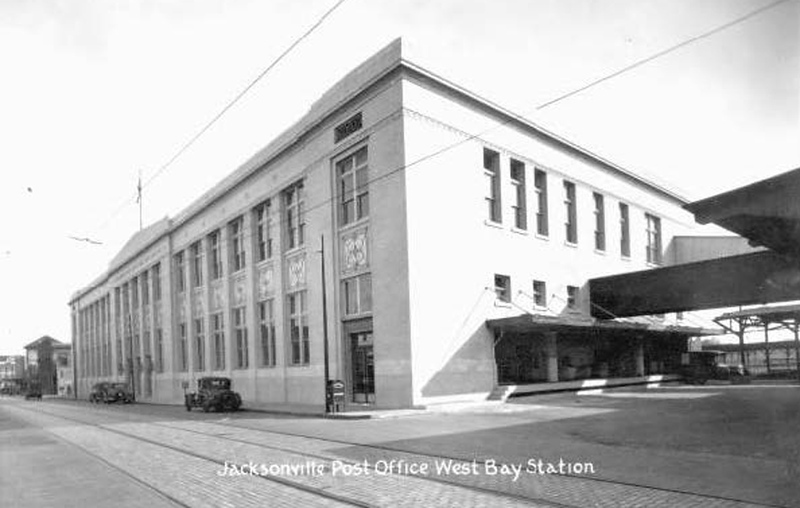 With terminals in operation by the Atlantic and East Coast Terminal Company, Jacksonville Terminal Company and Railroad Express Agency, Downtown had become one of the largest railway mail/express operations in the country and the surrounding district had become known as Railroad Row. 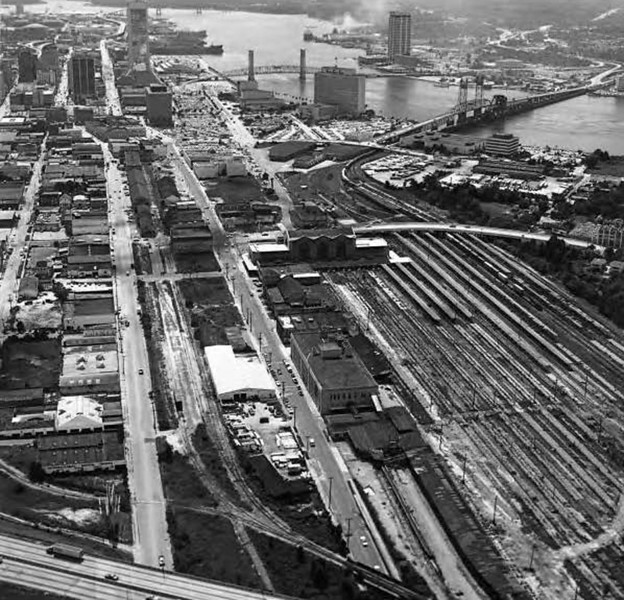 Ultimately heavy tax burdens, containerization, trucking, a general shift from less-than-carload shipments, the closure of the passenger rail terminal in 1974, and the 1975 relocation of the mail center spelled the doom of Downtown’s unique terminal railroad operation. The long demolished U.S. Post Office West Bay Annex once processed 80 percent of the state’s mail. Courtesy of the State Archives of Florida. Then used for storage and damaged freight, a fire led to the demolition of the massive Atlantic and East Coast Terminal Company freight depot in 1979. Today, massive parking lots and the offices of Interline Brands occupy the depot’s mega-block. 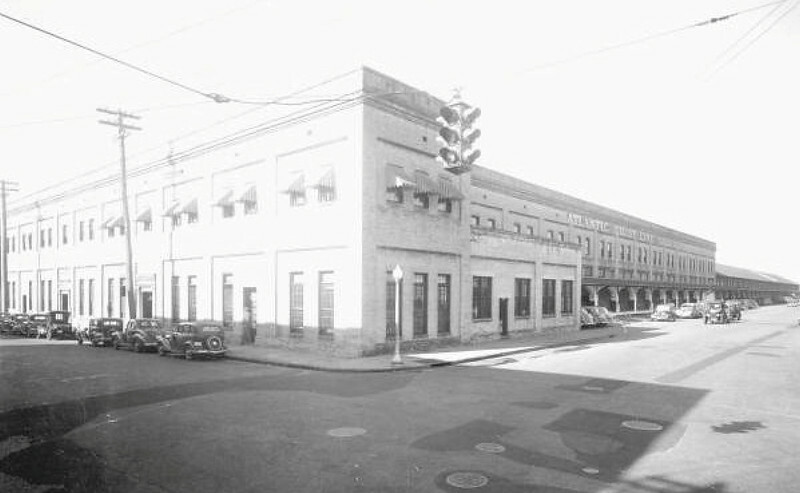 Several now demolished warehouses served by the Atlantic and East Coast Terminal Company Railroad during the construction of the JTA Skyway. 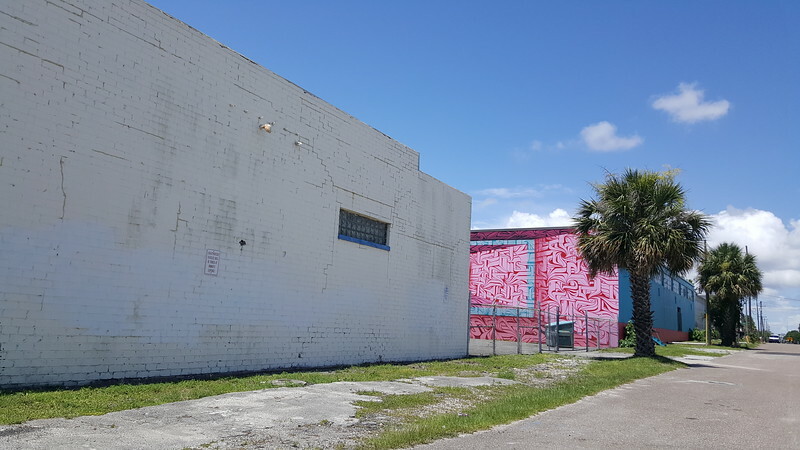 Courtesy of the City of Jacksonville Planning and Development Department’s Historic Preservation Office. 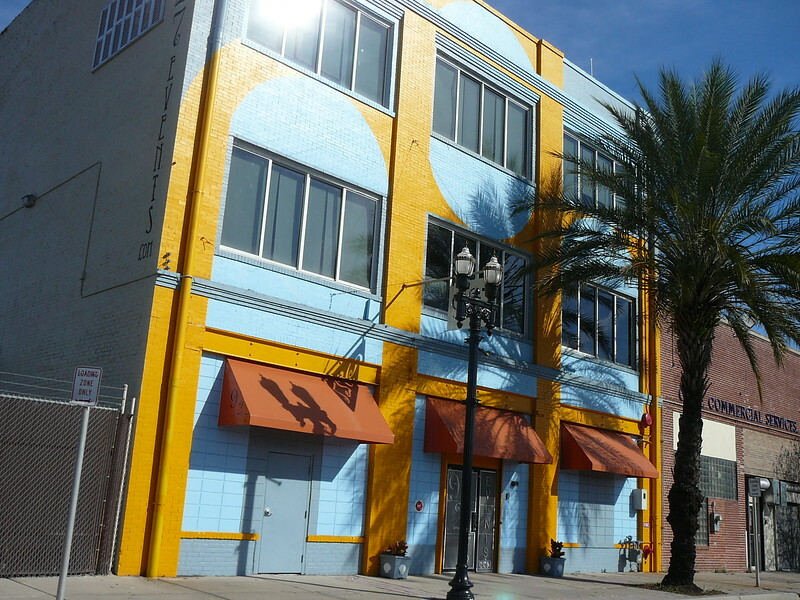 While the Atlantic and East Coast Terminal Company railroad is no more, the impact on the built environment lives on through several distinctive industrial buildings housing businesses like Sally Corp. and 927 Events, giving this area of Downtown a special sense of place and adaptive reuse possibilities to build upon that can’t be recreated elsewhere. Looking south on Madison Street at West Forsyth Street. 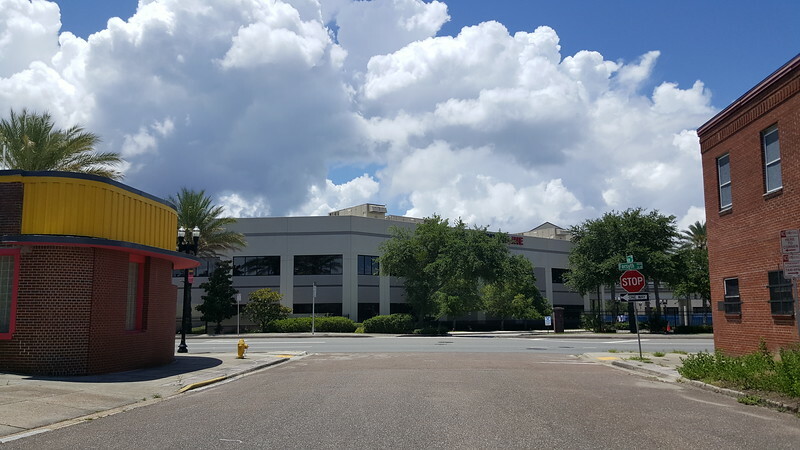 The Interline Brands office building is located on the former site of the Atlantic & East Coast Terminal Company Railroad’s massive freight depot. The Fairmont Creamery in 1949. Fairmont specialized in butter, eggs, cheese, poultry and frozen foods. Products and supplies were shipped by a rail spur on Houston Street. 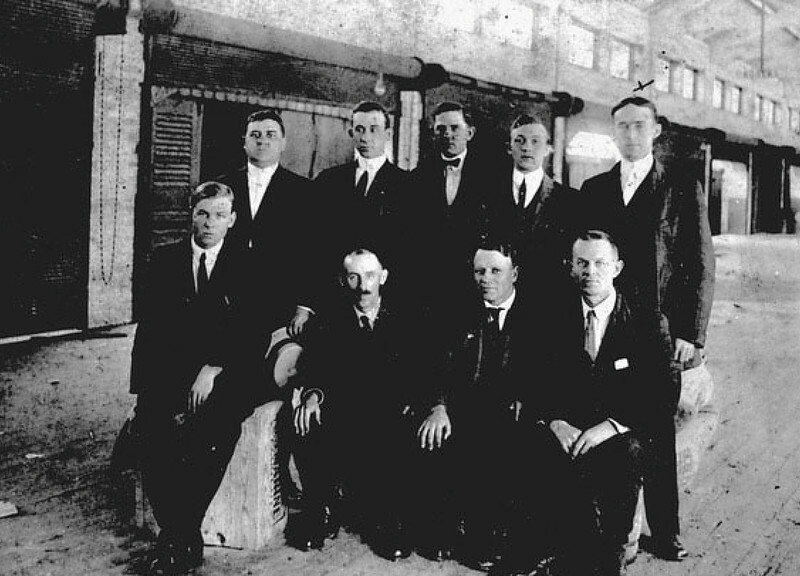 The creamery company was incorporated March 29, 1884 by William Wheeler and Joseph H. Rushton in Fairmont, Nebraska. It became a pioneer in milk can pickup and was one of the first creameries to provide farmers with their own hand-operated cream separators. Courtesy of the State Archives of Florida, Florida Memory. The former Fairmont Creamery at 122 Jefferson Street today. 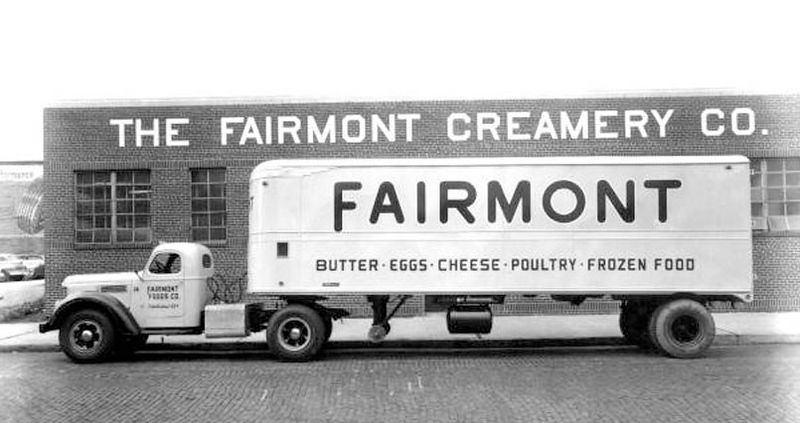 Throughout its history, Fairmont Creamery Company was known in the dairy industry for its quality control and progressive methods of food production and distribution. By 1959 Fairmont was among the country’s 500 largest corporations. In 1980, Fairmont merged with a subsidiary of American Financial Corporation of Cincinnati, Ohio, and changed its name to Utotem, Inc. Between 1980 and 1984, all of its properties and subsidiaries were either sold or closed, marking the end of a great American name. The remains of a former railroad siding on Houston Street that once served the Fairmont Creamery dairy and the Horne-Wilson warehouse. 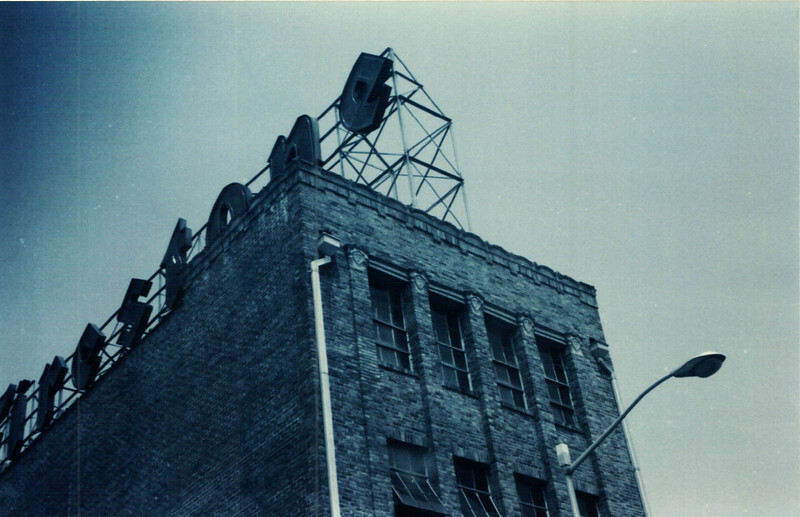 A former rail loading dock on Houston Street behind what was originally built for the Horne-Wilson, Inc. in 1950. 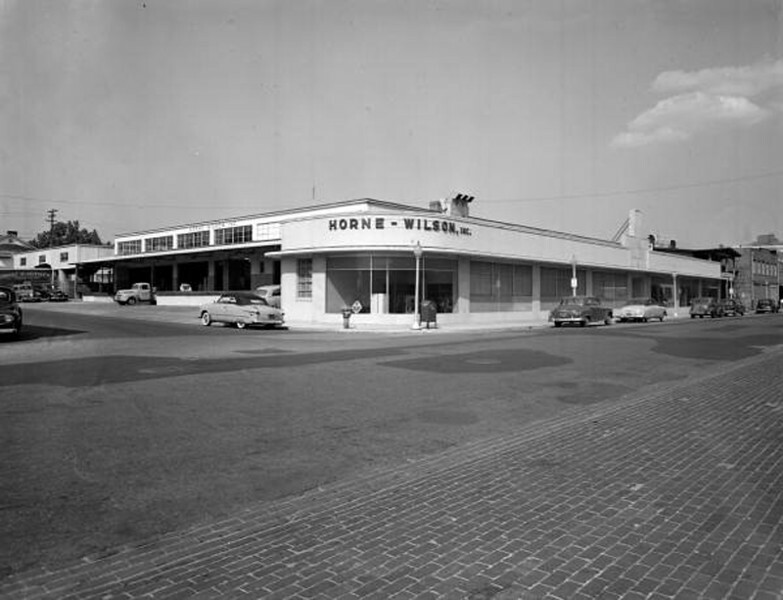 Horne-Wilson was a wholesale distributor of plumbing, heating and air-conditioning products that was sold to the I.U. Corporation in 1974. 142 Madison Street was originally built as a liquor warehouse in 1946. 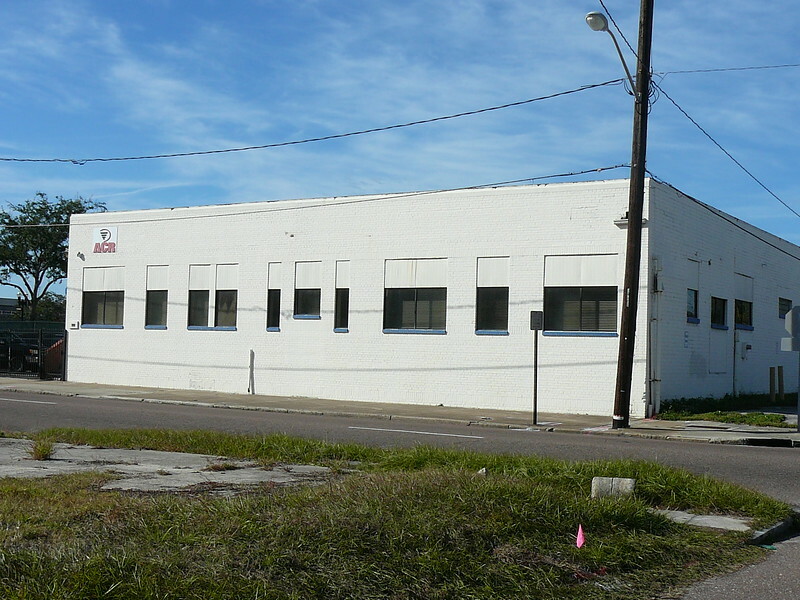 Now a warehouse for the Salvation Army, 140 Davis Street was originally constructed in 1951 for meat wholesaler Jefferies Market. 825 West Forsyth Street dates back to 1902. 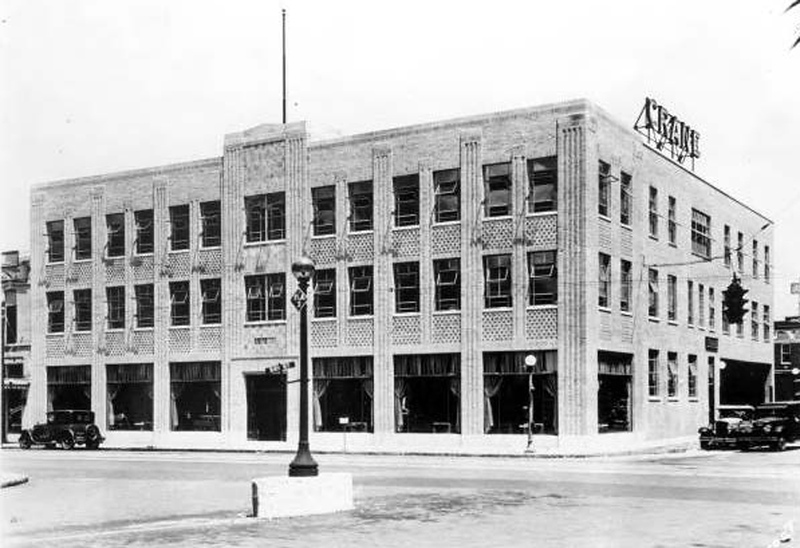 In 1915, the Jax Chero-Cola Bottling Company operated out of the structure. Chero-Cola was founded in 1905 as the Union Bottling Works by Claud A. Hatcher in Columbus, GA. Hatcher’s first beverages were named Royal Crown, a ginger ale and a cola called Chero-Cola. In 1912, the company’s name was changed to Chero-Cola. Over the years, the company’s name has changed and it is now known as Royal Crown Cola International. During the mid 20th century, Atlantic Printers and Dixie Suppy Company Inc. (dry goods) were located here. 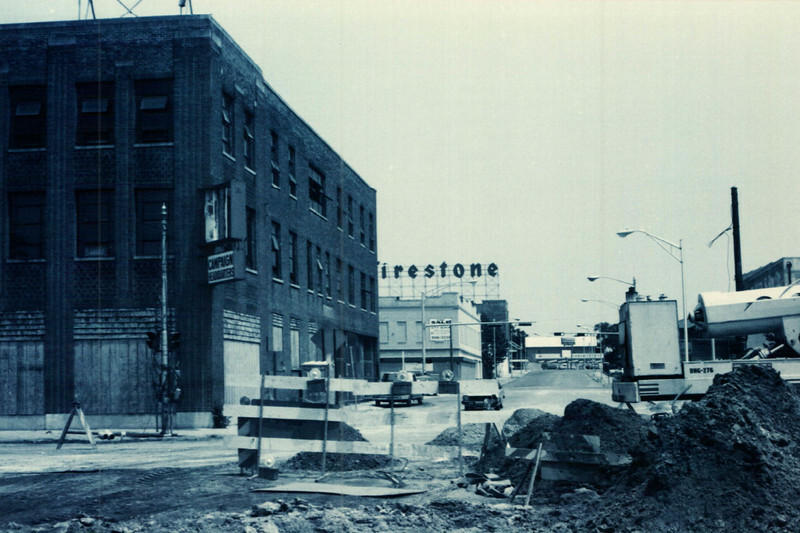 The birthplace of James Weldon Johnson was demolished and replaced by a warehouse for the Firestone Tire & Rubber Company during the mid-1920s. Served by the Atlantic and East Coast Terminal Company Railroad, the Firestone Tire & Rubber Company warehouse that replaced the birthplace of James Weldon Johnson was demolished during the 1990s. Courtesy of the City of Jacksonville Planning and Development Department. 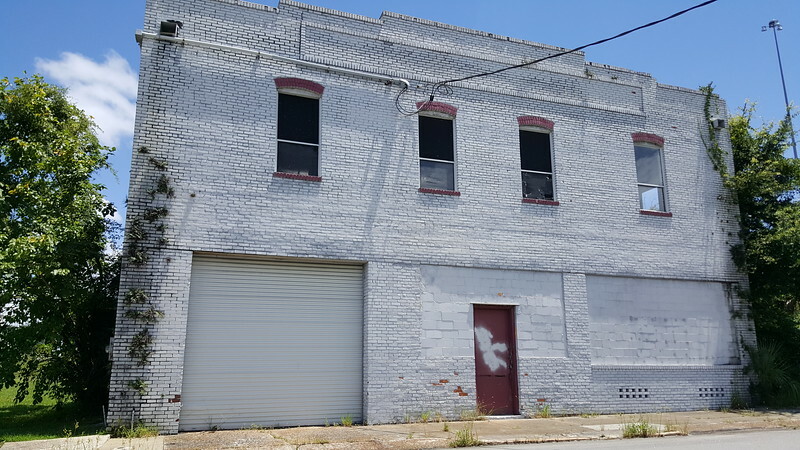 Constructed across the street from the Atlantic & East Coast Terminal Company’s freight depot in 1909, one of 927 West Forsyth Street’s early tenants was the F.W. King & Company. 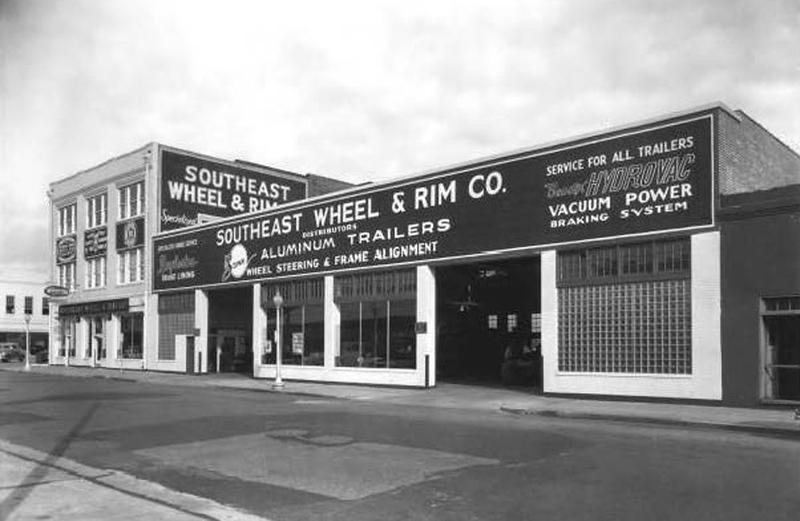 For many years it was the home of the Southeast Wheel & Rim Company. 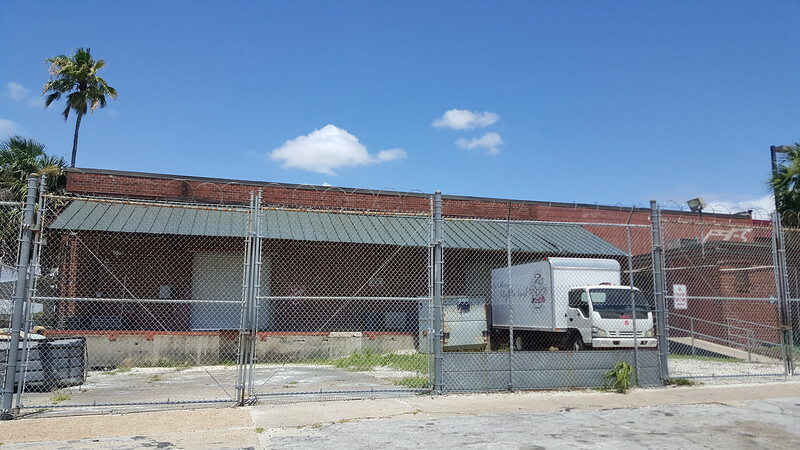 The remaining two buildings on the block shared by 927 West Forsyth have housed a variety of uses over years including City Meat & Slaughter House company in 1925. The Southeast Wheel & Rim Company. Courtesy of the State Archives of Florida. 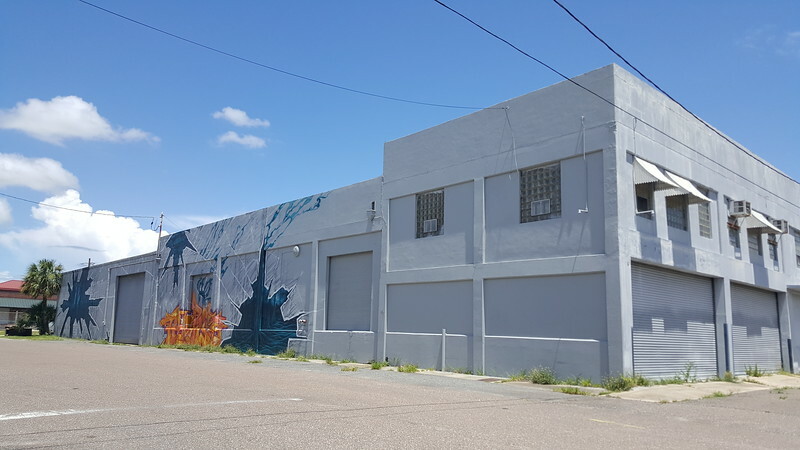 Currently used as parking for the Prime Osborn Convention Center, this block was once a part of a railyard that served the Atlantic & East Coast Terminal Company Railroad freight depot. 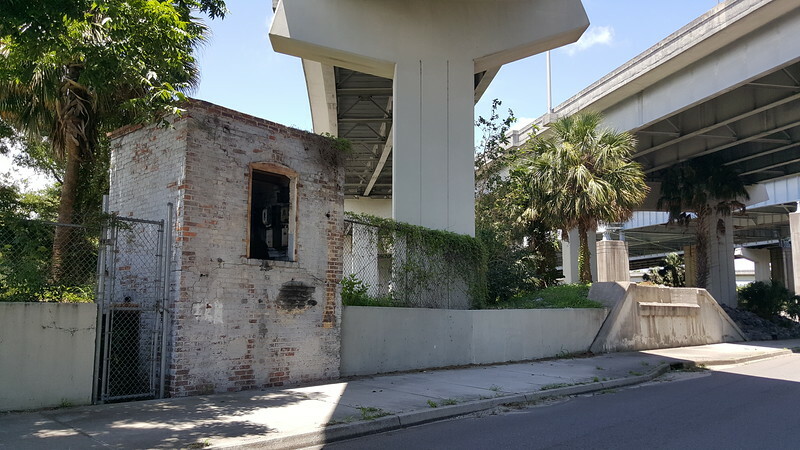 The remains of a railroad viaduct that once carried the Atlantic & East Coast Terminal Company Railroad over West Bay Street. In 1907, this West Adams Street building near Myrtle Avenue, was completed for the Southern Express Company. It served as a stable to house its horse-drawn wagons and livestock being utilized to carry passengers and freight to and from the train station. 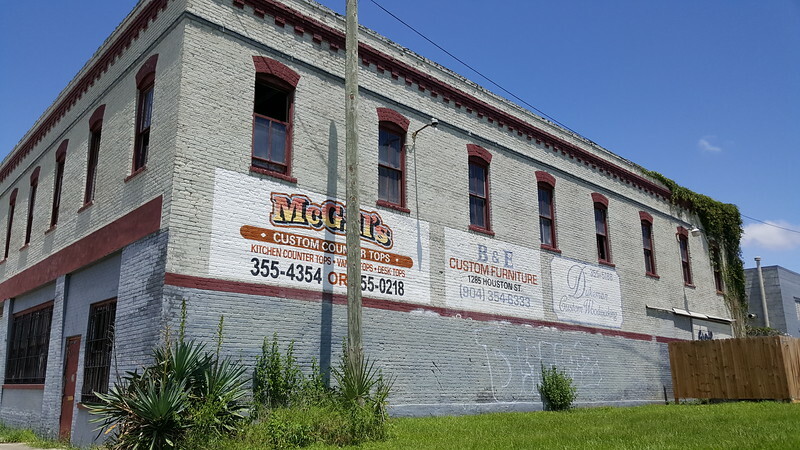 McGill’s Custom Counter Tops manufactures a variety of countertops in a warehouse once served by the Atlantic & East Coast Terminal Company Railroad that was occupied by the Goodyear Tire & Rubber Company. 1281 West Forsyth Street was built in 1922. 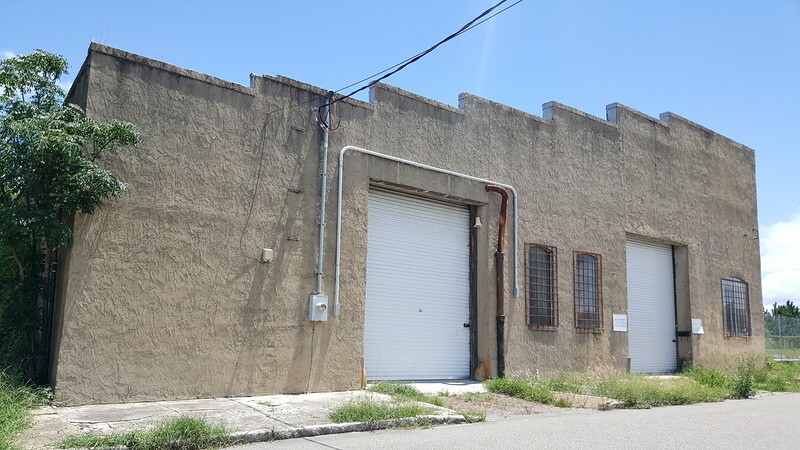 The Crane Company warehouse was located at the intersection of West Bay and Lee Streets.